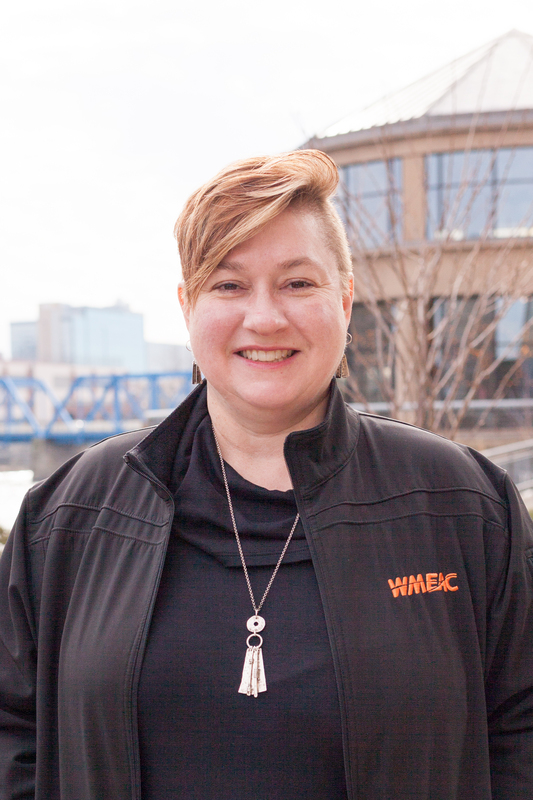 Elaine joined WMEAC to lead its Water Team in 2012. A veteran of the West Michigan legal and environmental communities, she has held a number of positions in the nonprofit and academic sectors focused on research, policy implementation, and collaboration. She’s served as Project Manager for West Michigan Strategic Alliance’s Green Infrastructure Initiative, Research Associate for the Annis Water Resources Institute at Grand Valley State University, Sea Grant Fellow with the Great Lakes Commission, and litigation attorney for Legal Aid of Western Michigan and the Michigan Migrant Legal Assistance Project, Inc.
Ms. Isely has more than 20 years of experience in law, environmental policy, research, outreach, and public speaking. She holds a B.S. in Finance from the University of Maryland, a J.D. from Wayne State University, and an M.S. in Biology/Natural Resources Management from Grand Valley State University. She currently serves as Chair of the Stormwater Oversight Commission, and is a Certified National Rain Gardener. She has published several academic and technical papers on environmental and collaborative management topics, and currently serves as an advisor to Grand Valley State University Natural Resources Management Department and to the Michigan Water School led by Michigan State Extension and Michigan Sea Grant.